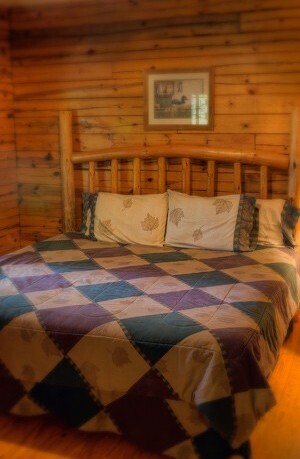 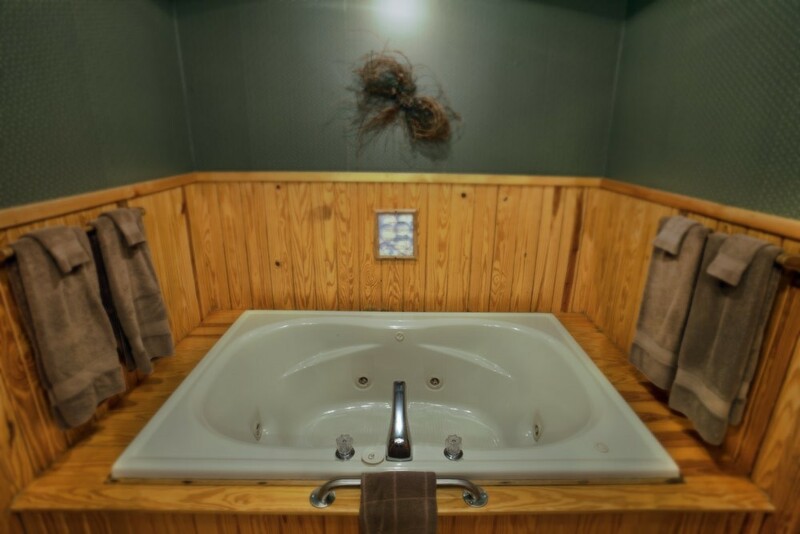 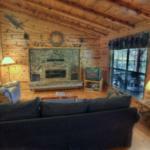 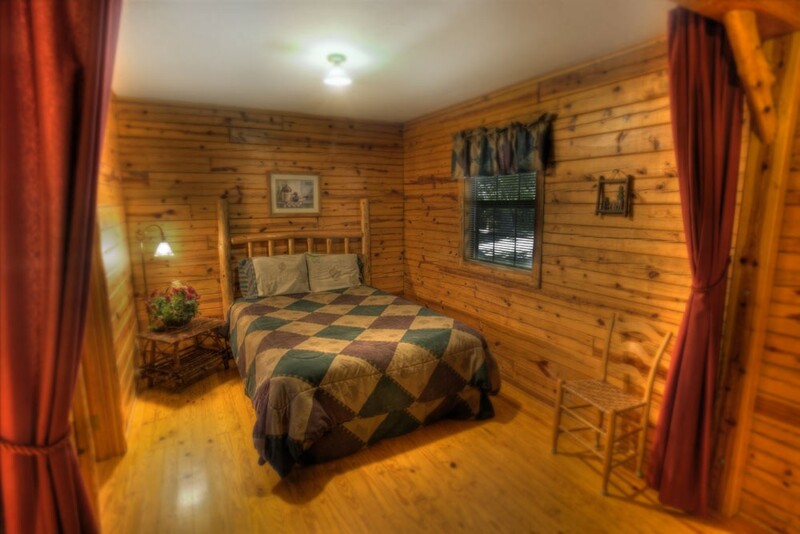 Our spacious 900 square foot Family Cabins comfortably sleep 4, with king and queen beds, and full bathrooms in each. 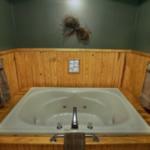 Complete kitchens, large native stone fireplaces with Country Flame blower inserts, TV's & DVD players, and double jetted spa tubs await you. 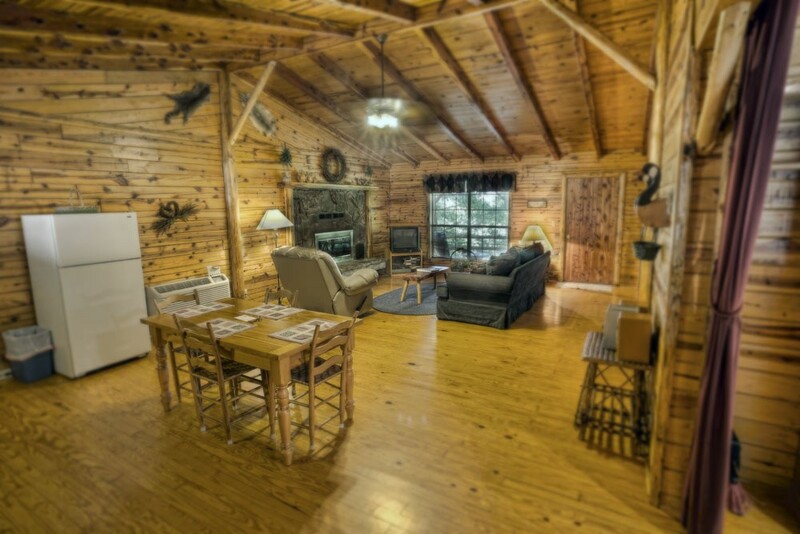 Bring your food, or Eureka Springs Dining plans, with you and we have everything else you may need placed for your comfort. 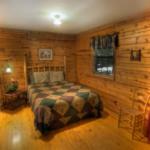 We will even have a stack of wood ready for your fireplace, available for your stay between October and April! 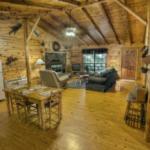 These Eureka Springs Arkansas Cabin Rentals feature covered front and back porches, cedar porch swings, and comfortable chairs for lingering outdoors. 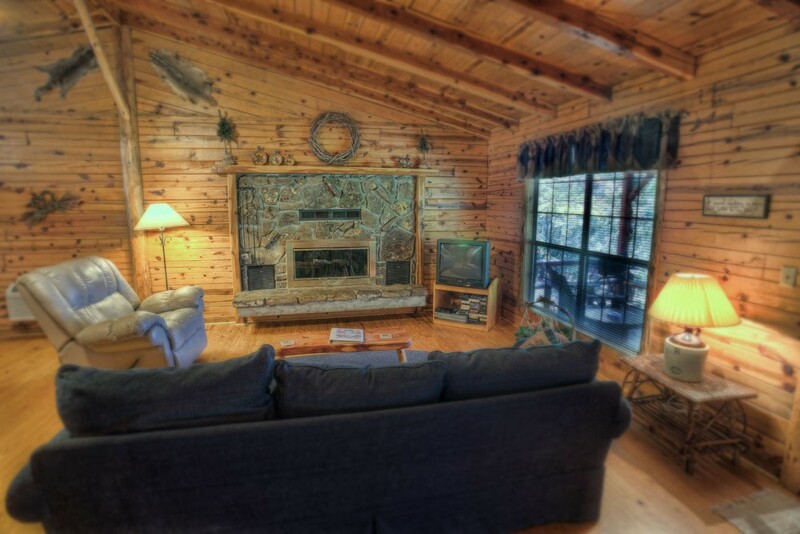 Put that feast on the grill, and watch the Deer and Foxes take all of your cares into the woodlands surrounding you, your family, and friends!